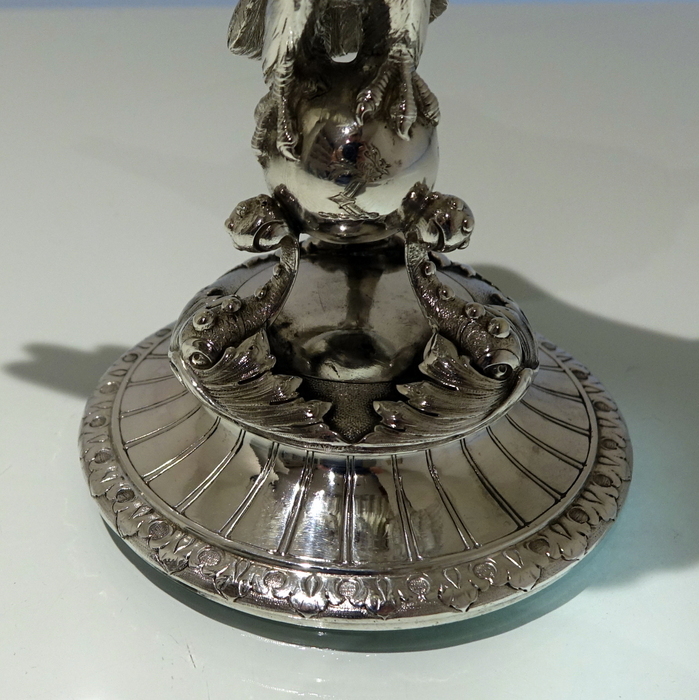 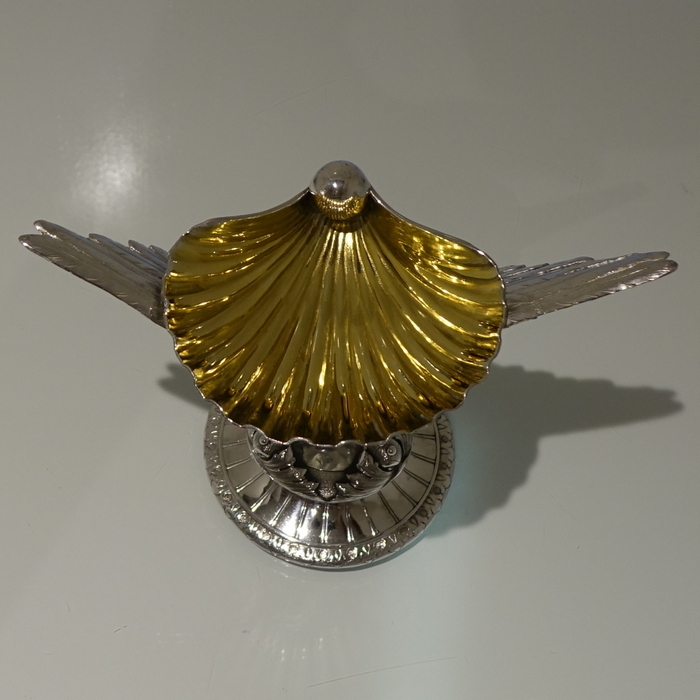 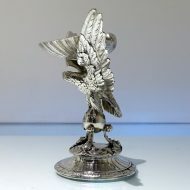 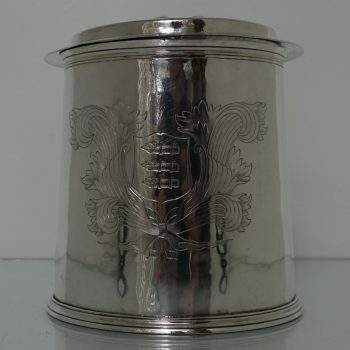 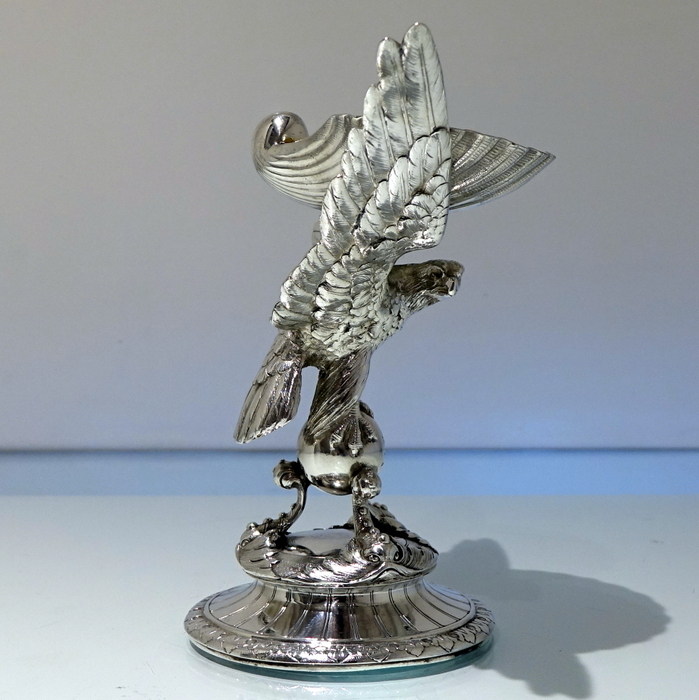 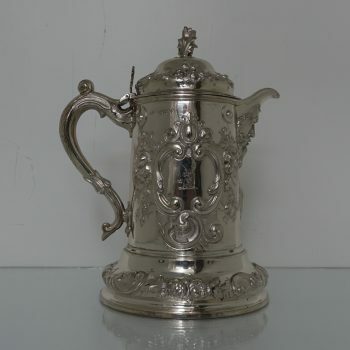 A very fine and extremely rare Victorian standing salt modelled in the form of an eagle. A very fine and extremely rare Victorian standing salt modelled in the form of an eagle. 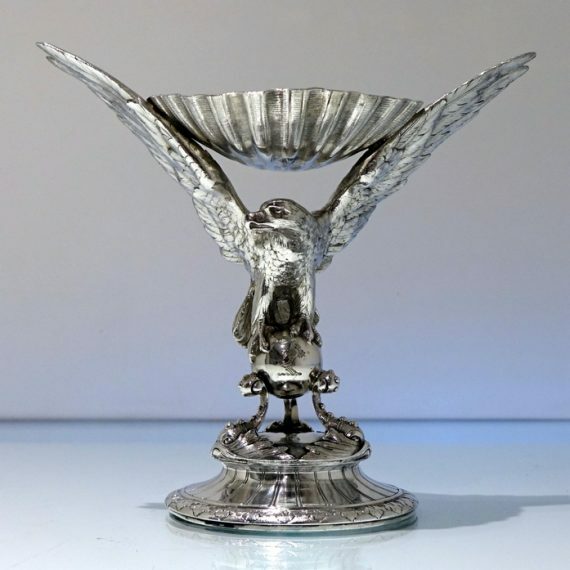 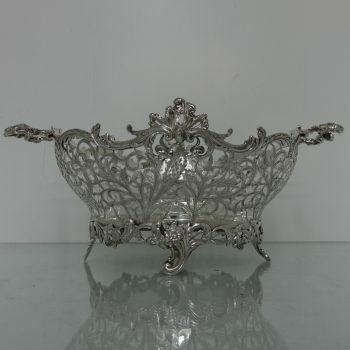 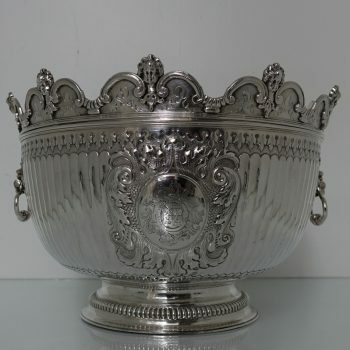 The detailing into the design is of the highest quality and the shell salt bowl is stylishly held aloft by the eagles wings. 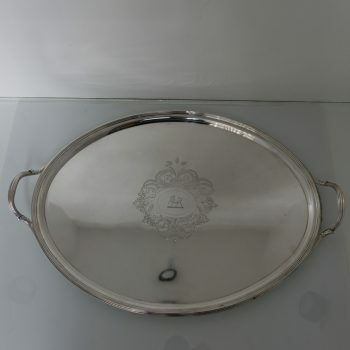 The foot is circular raised pedestal with an outer band of decoration for lowlights. 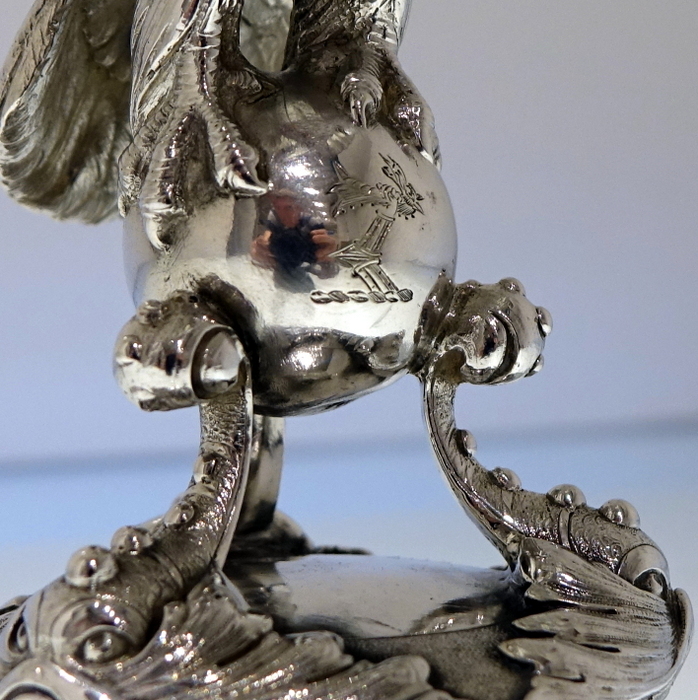 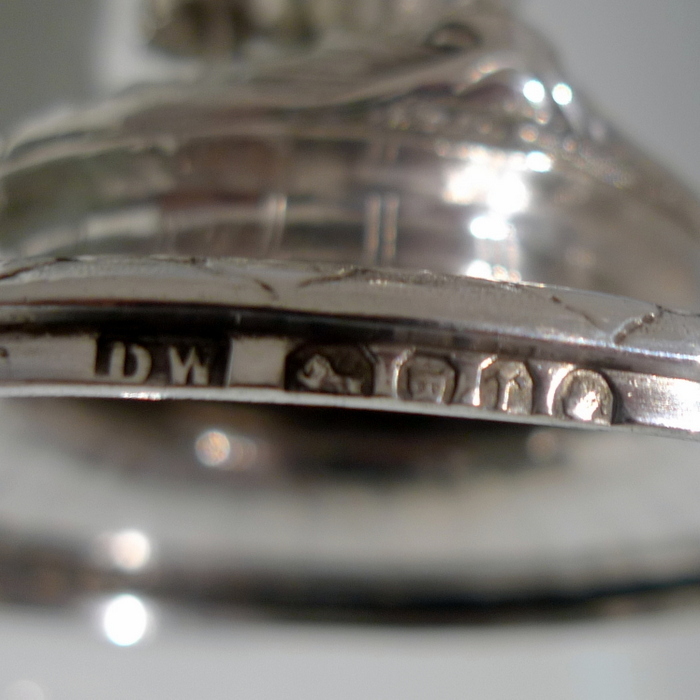 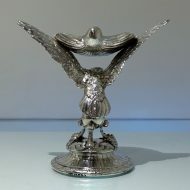 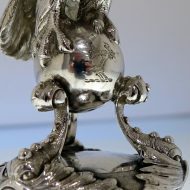 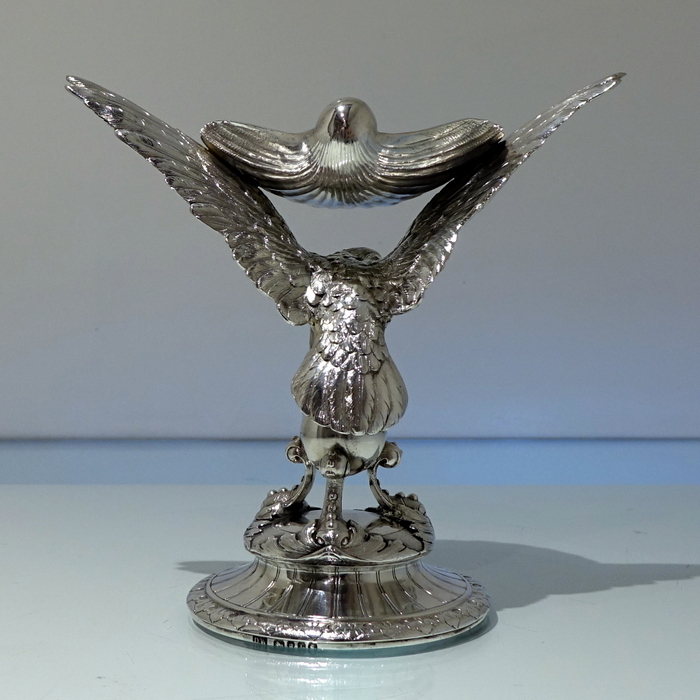 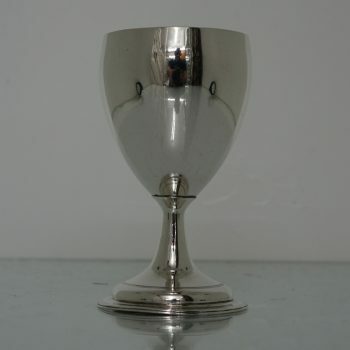 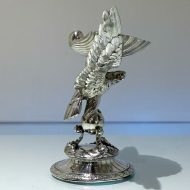 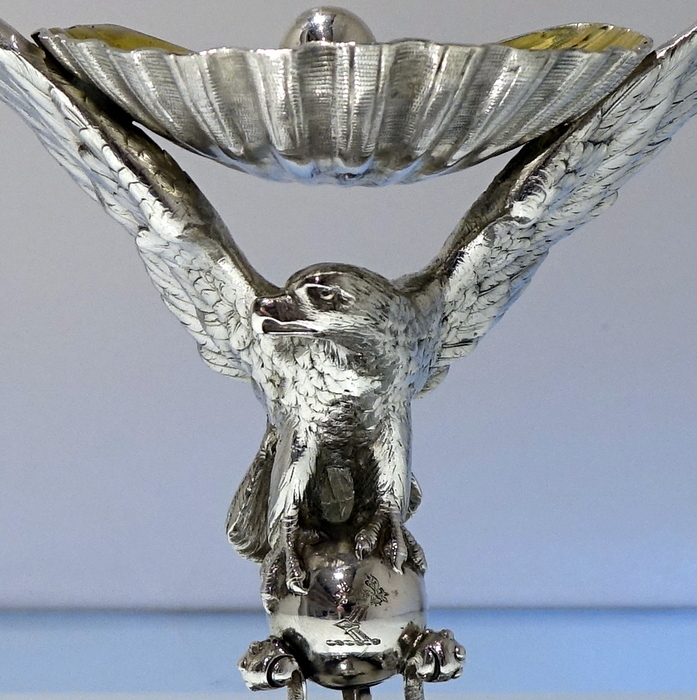 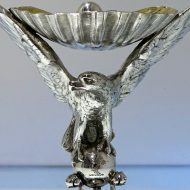 The eagle itself is perched on a silver orb which has an elegant contemporary crest for importance.